Enjoy the refreshing taste of Coca-Cola at the following locations. Need Ideas for a Successful Fundraiser? 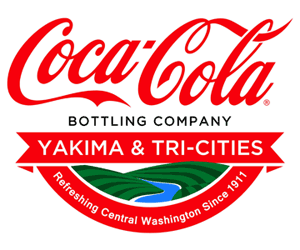 Coca-Cola Bottling Company of Yakima & Tri-Cities offers fundraising programs with Coca-Cola beverages. It’s simple! Groups such as the Greater Richland Little League, Upper Valley Little League and East Valley Youth Baseball have successfully raised thousands of dollars by partnering with Coca-Cola. Fill out the form below and a representative will contact you directly.